Early this summer we were invited to take part in one of the trips planned for the local chapter of Project Healing Waters Fly Fishing; a program that "is dedicated to the physical and emotional rehabilitation of disabled active military service personnel and veterans through fly fishing and fly tying education and outings." 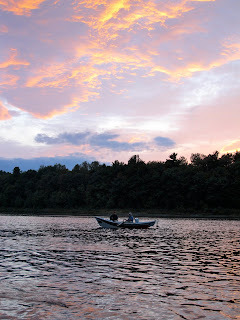 Last week we took our trip, chasing smallies on the Kennebec. The fish cooperated nicely, the weather was stunning, and some good laughs were shared by all. It was a nice way to spend the final day of summer. Having spent some time myself hiking a rucksack over the mountains and through the woods with a rifle in my hand, a bond was shared- and it felt good to have a chance to help these Warriors find a bit a peace. 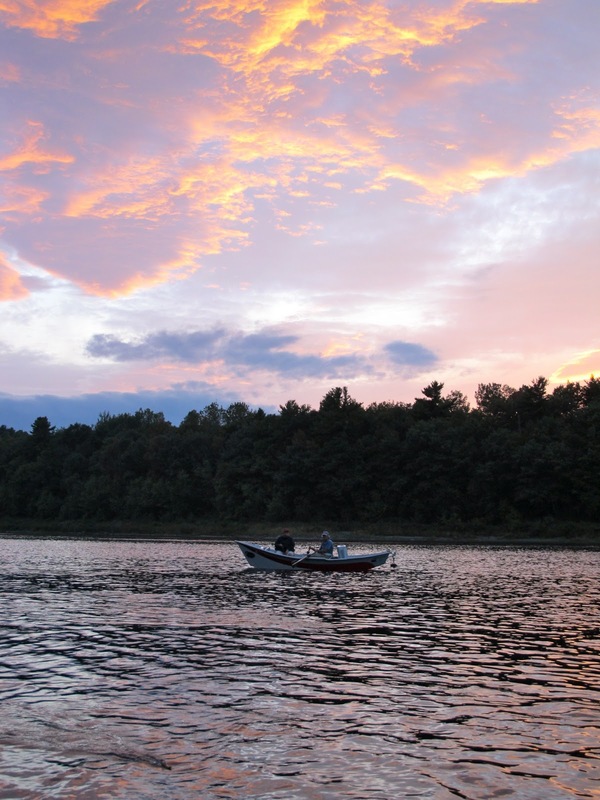 Personally, I can't think of a better tonic than spending some time on the water, getting a tight line on a few fish.